With the KidsCab Super Cargo bike trailer you know for sure that you will never have too little space. This Super Cargo bicycle trailer has a loading area of 106 cm x 50 cm! You can keep stacking in height up to a whopping 100 kg weight. You can remove the front and rear frame parts, so you can also transport extra long stuff, such as a surfboard or a canoe. The bottom is made of hard plastic and is reinforced on several points. The extra large tires (3.00) are not only look slik, but also give you the possibility to ride comfortably off-road. 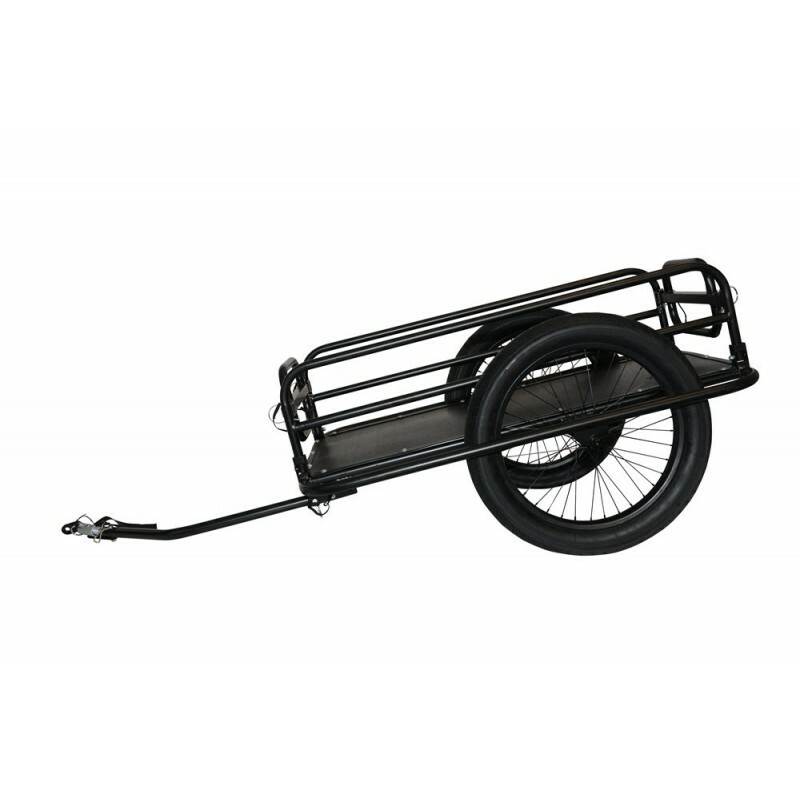 The KidsCab Super Cargo bicycle trailer can easily be folded and fits into any trunk of a car. 1 bicycle coupling is supplied for mounting on the rear axle of your bicycle.